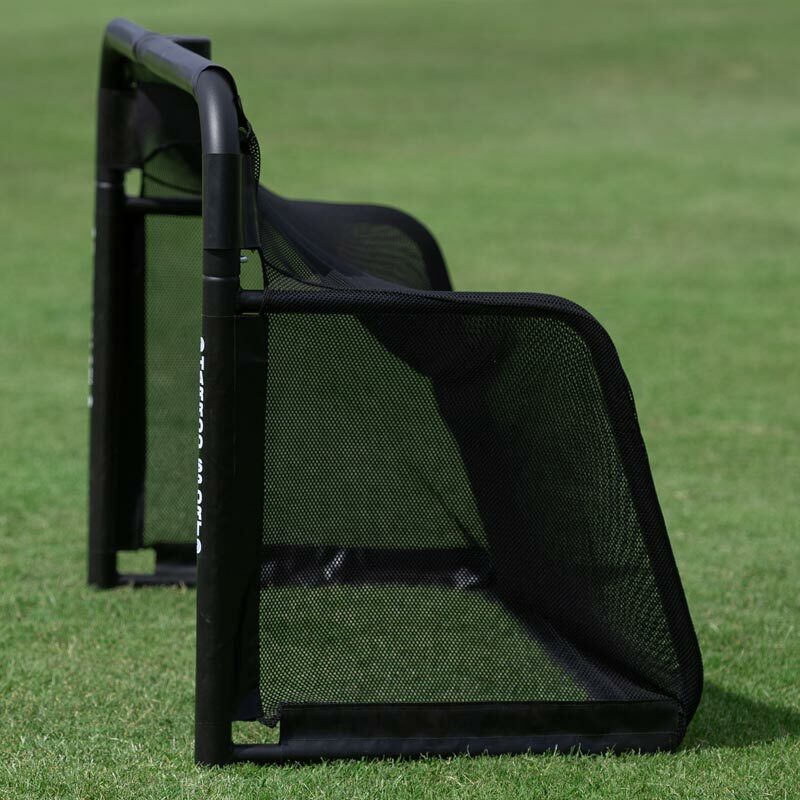 The Harrod Sport ® Aluminium Folding Football Goal 5ft x 3ft is designed to be easily transported, either for a kick about with kids or a portable training aid for professional football training. 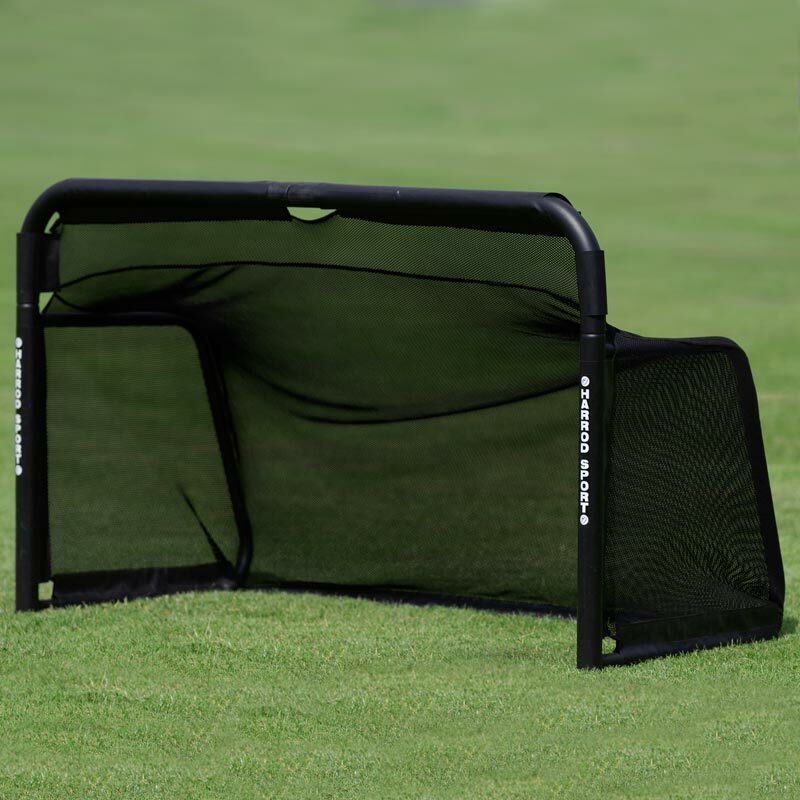 The goal can easily be set up in 10 seconds and can be used on multiple surfaces. 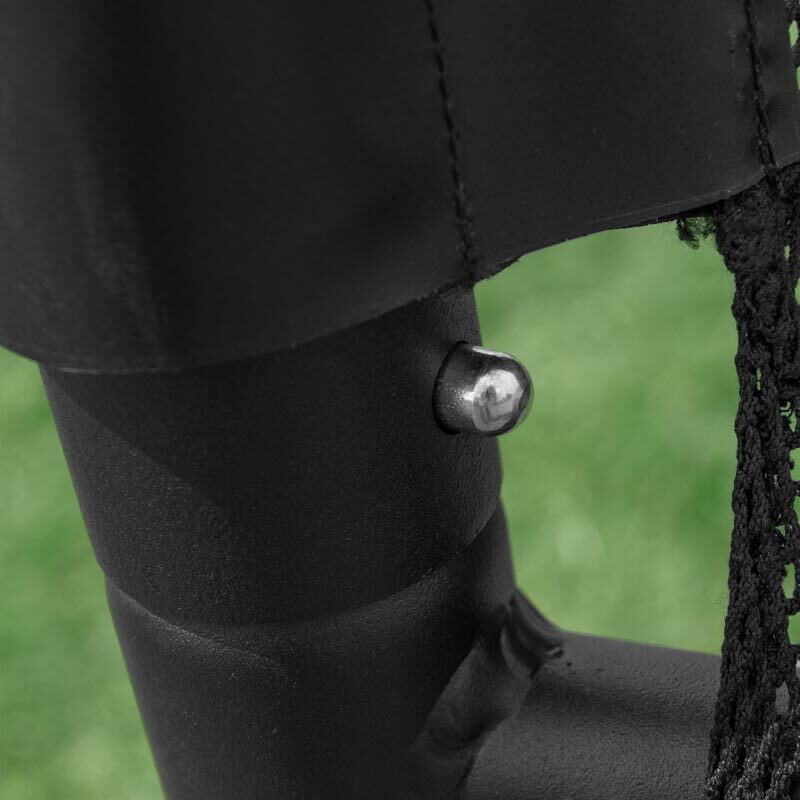 50.8mm aluminium crossbar and uprights with 32mm aluminium net supports. Polyester powder coated matte black. Quick and easy set up for play. 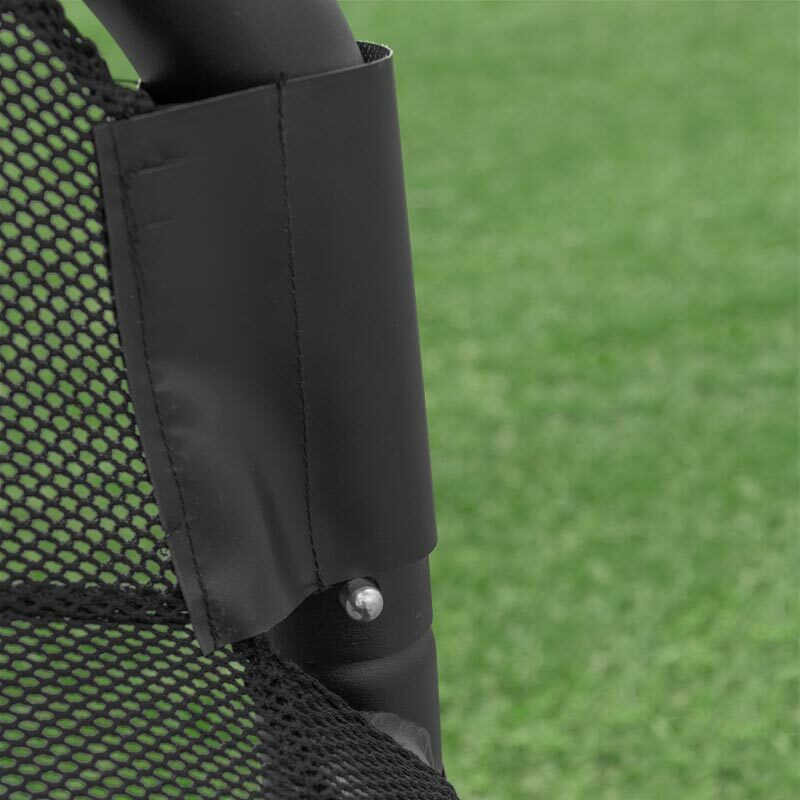 Spring mechanism in the crossbar hinge allows the goal to lock in ‘play’ and ‘storage’ positions. 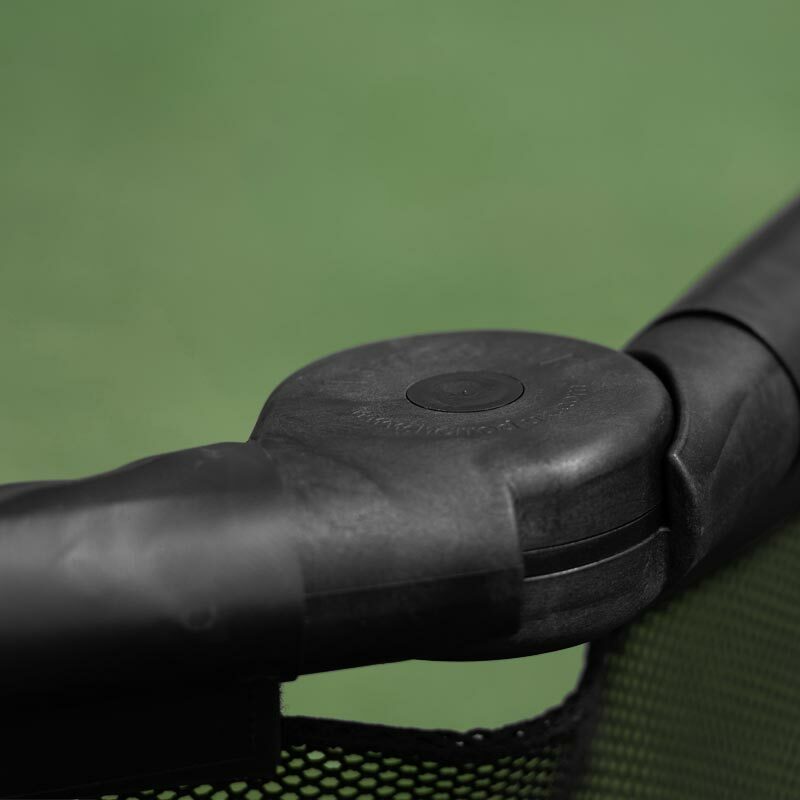 Sideframes fold flat via spring button clips in the uprights for optimal storage and transport. Supplied with hook and loop fastening elasticated net. Sold as a single goal c/w net. Goal frame arrives assembled with net partly assembled to goal frame. Size W 1.5m x H 0.9m.